Rose Arbor Rabbits can be found in the barns of well known, established breeders, beginning and youth breeders, 4-Hers and pet owners. 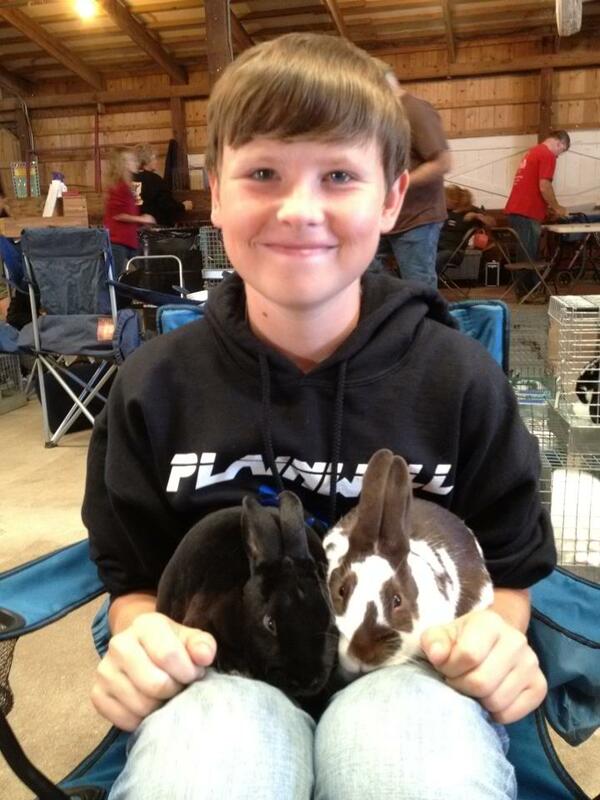 We pride ourselves on providing quality rabbits that suit the owner! "Just wanted to let you know that the broken otter doe, Audrey, you sold us at Mini Rex Nationals took Best of Breed at the Berrien County Youth Fair earlier this month. 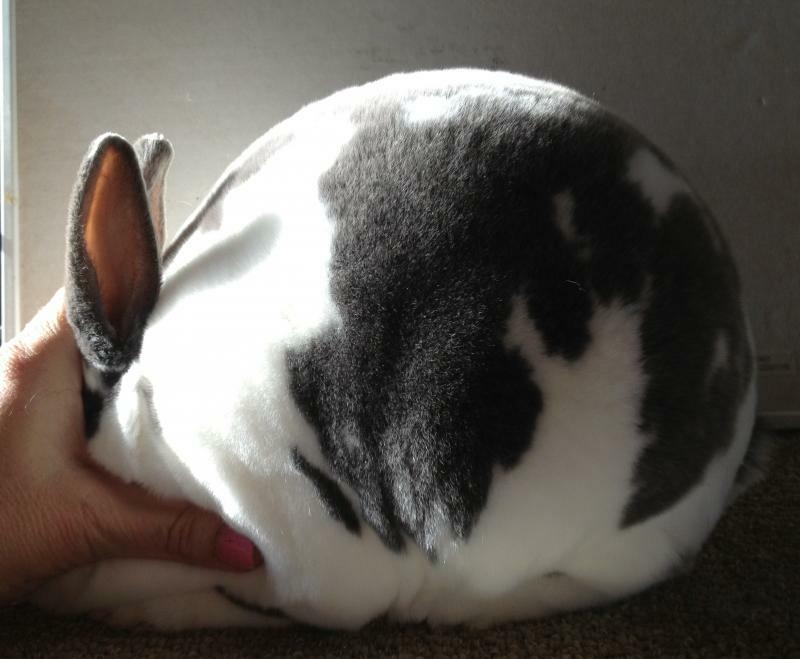 there were 57 Mini Rex....Thank you again for such a beuatiful animal. Natalie with her bunny... Rose Arbor's Finley. "Mocha" is older than Natalie and has been a show rabbit for three 4-Hers and is Natalie's 4-H Cloverbud bunny. Sad news--Mocha went to bunny heaven a year after Natalie got him. He will be replaced this spring with a new Rose Arbor rabbit! This yummy little junior buck earned his first leg, winning a large class at Great Lakes RCS! He was purchased by Nate and Jan Moore. Thank you! Junior doe purchased by Chloe O'Neill to add to her 4-H rabbit project. Chloe is the proud owner of Rose Arbor's Alan, Annika's future mate! The bunny bug has bitten the O'Neill family, all three sisters are now going to be showing Rose Arbor Rabbits! Broken castor doe, Best of Breed winner, now owned by youth breeder, Jenna Purvins, along with Rose Arbor's Joy, Rose Arbor's Silver Bullet, Rose Arbor's Nova and Rose Arbor's Cline! Good luck Jenna!